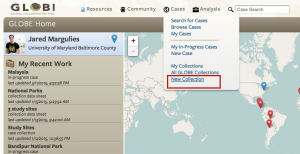 There are two ways to create a collection: from the My Collections page and from the GLOBE Case Search page. This document will discuss how to get to these pages and the steps to create a collection. Create a Collection by selecting “New Collection” from the “Cases” dropdown menu from your GLOBE App Dashboard. Name your collection and add a description. Once you are finished, select Create New Collection. You will then be taken to Add/Remove Cases page, so that you may begin adding cases to your collection. Your new collection can now be accessed from My Collections and the GLOBE Case Search page. If you are searching for cases and decide that you want to create a collection, you do not have to leave the GLOBE Case Search Page. 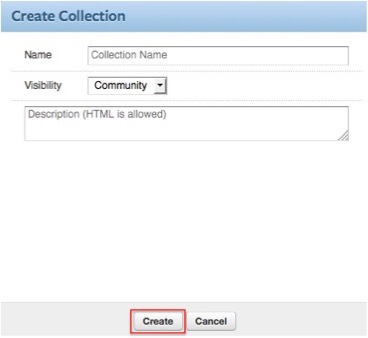 Under Working Collection select the plus sign to create a new collection. Enter the name, visibility (community, public, or private), and the description. Then select Create. 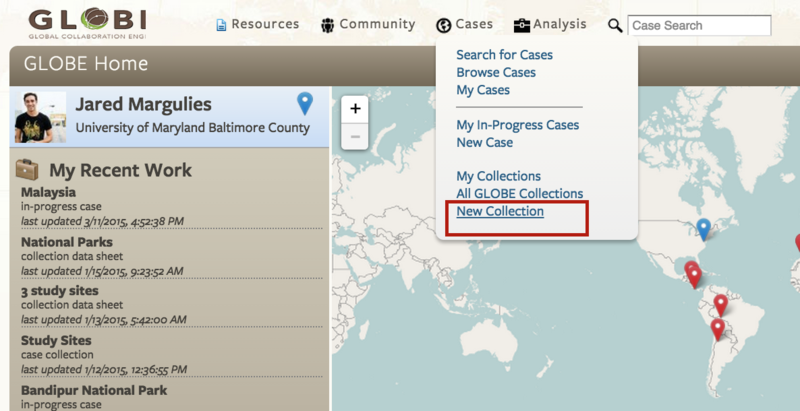 Now you have created a new collection that you can immediately add cases to from the GLOBE Case Search page.